Even though winter is officially here, the weather here in Greece is really warm! I think this has been the hottest autumn of my life and I admit that I have missed cold weather. I like staying at home and admiring the fire in front of the fireplace. I hope that Christmas weather will be colder! The recipe I am sharing with you today (slightly adapted from here) has really confused me! It was supposed to be a side dish American people use to have for Thanksgiving. 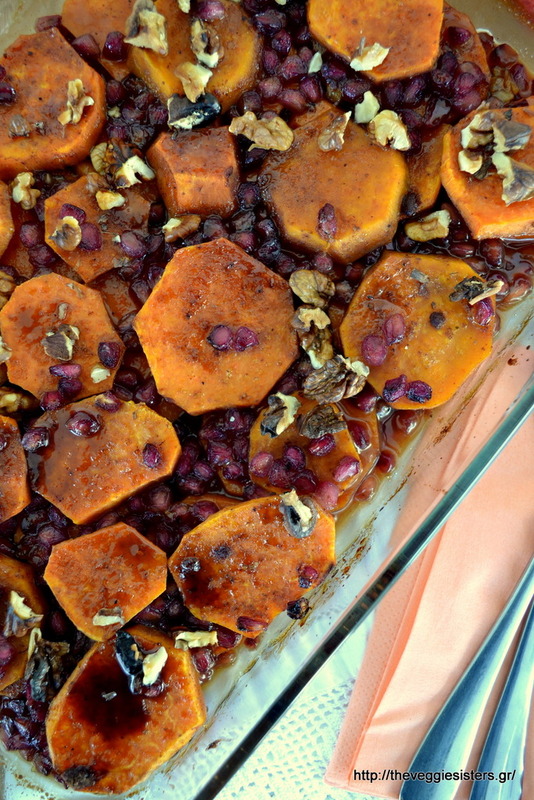 It caught my eye since it contains some of my favorite ingredients (sweet potatoes, walnuts, pomegranate). The truth is that my taste buds’verdict was that this tastes more like a dessert rathen than a side dish. If you love the ingredients, make it and have it as a dessert! Grease a baking dish with olive oil and preheat oven at 180C. In a bowl combine orange juice with maple syrup and spices. In another bowl place potetoes and pomegranate and pour this sauce over the potatoes. Toss to coat. 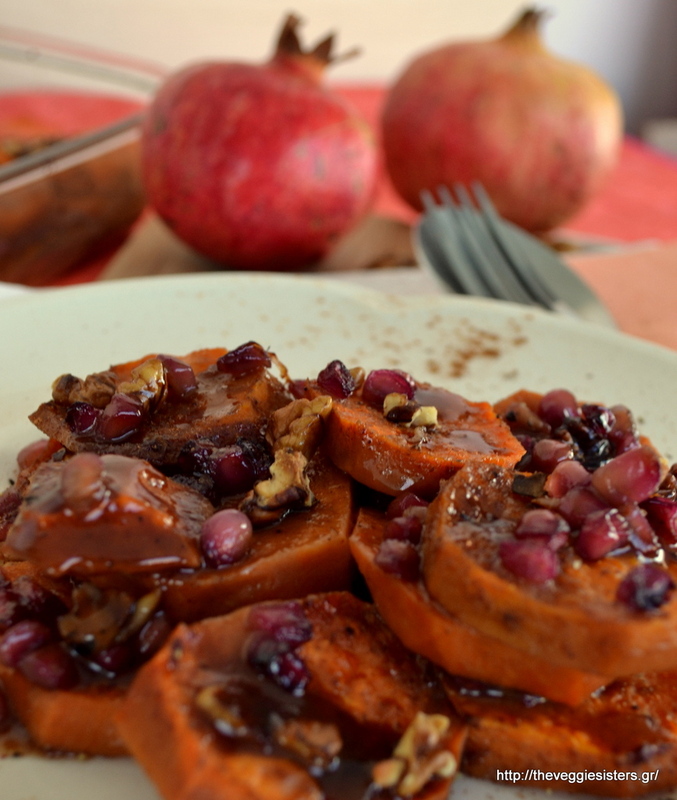 Lay potatoes on the bottom of the dish, pour sauce and sprinkle with pomegranate. Repeat once more. Cover with aluminum foil and bake for 35 minutes. Then remove foil and sprinkle with sugar and walnuts. Bake for another 10-15 minutes until potatoes are tender and sugar is caramelised. Enjoy! 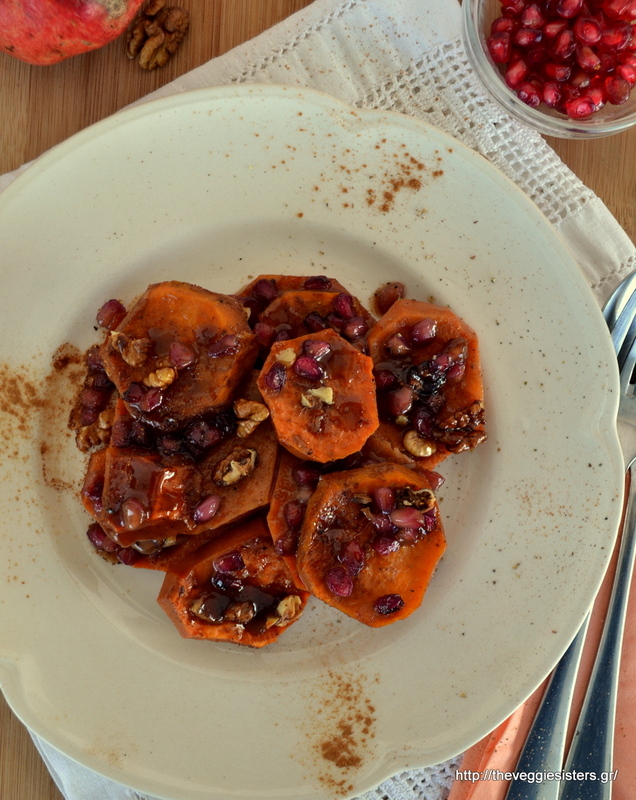 Share the post "Sweet potato bake with walnuts and pomegranate"